Shuntia Wheeler is a graduate student at Prairie View A&M University. She graduated with honors with a Bachelor’s Degree in Mass Communication from Prairie View A&M University in December 2009. Ms. Wheeler has demonstrated leadership in various organizations; She is the former Financial Secretary of the National Association of Black Journalists PV Chapter, a member of Lambda Pi Eta, the national honors society for communication, she has served as the Academic Editor of The Pantherland Yearbook, and she is a contributing journalist for The Panther. 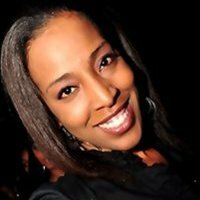 Check out her blog at www.shuntia-wheeler.blogspot.com, as she presents world news from a fresh perspective through fun, fierce, and factual stories impacting the world we live in.